Johannesburg – Cassper Nyovest has officially become the first South African hip-hop artist to ever hold a concert at the FNB Stadium and receive such an electrifying turn out. The 28-year-old set out to more than triple his audience members from his first ‘fill up concert’ by filling up Africa’s largest stadium – and if Saturday night’s visuals are anything to go by, he definitely achieved his goal. 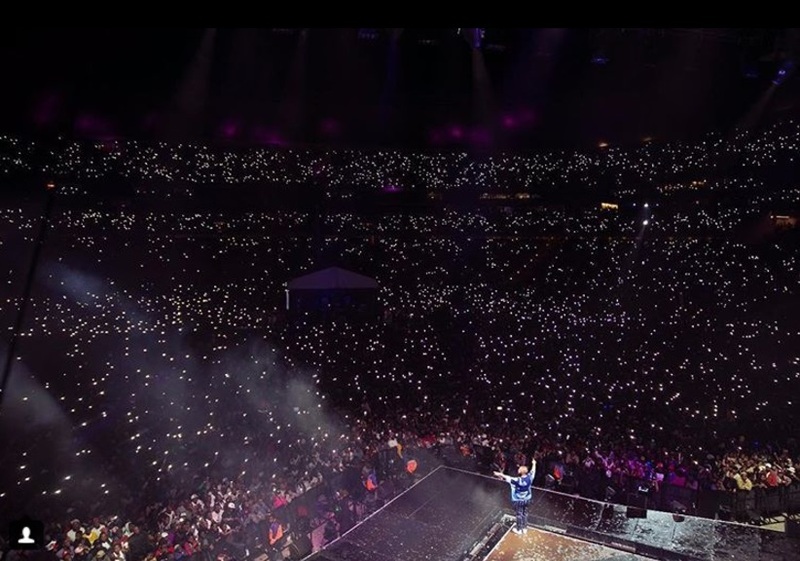 From selling out all the golden circle tickets to bringing in a crowd large enough to literally fill out the stadium – which has a capacity of 94,000 – Cassper did indeed make history. 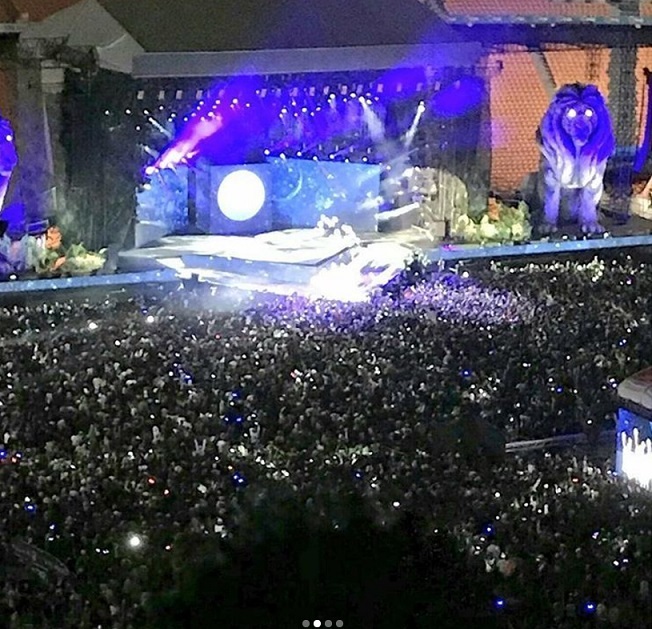 Not only was the golden circle filled to capacity but by 21:00 the other seating areas had a significant amount of concertgoers. This is not to mention the crowds who were outside the arena and could not get in as gates were already closed. To be specific, according to Public Relations manager Sheila Afari, Cassper managed to sell an estimated, whopping 68 000 tickets which is triple what he sold in his fill up concert at the Ticket Pro Dome in 2015. Two years ago the hitmaker announced that he would be attempting to fill up the Ticket Pro Dome in Johannesburg. At the time, not many believed he could actually do it, simply because it was something that has never been done by a local artist before – let alone a hip-hop artist. The Doc Shebeleza rapper proved everyone wrong and went on to bring in a crowd of 20 000 – making South African history by selling out a venue of that capacity without the help of an international act. Just when everyone thought he had achieved his goal he announced that he would take a step further by attempting to fill up Orlando Stadium which has approximately 40 000 seats – double that of the Dome. 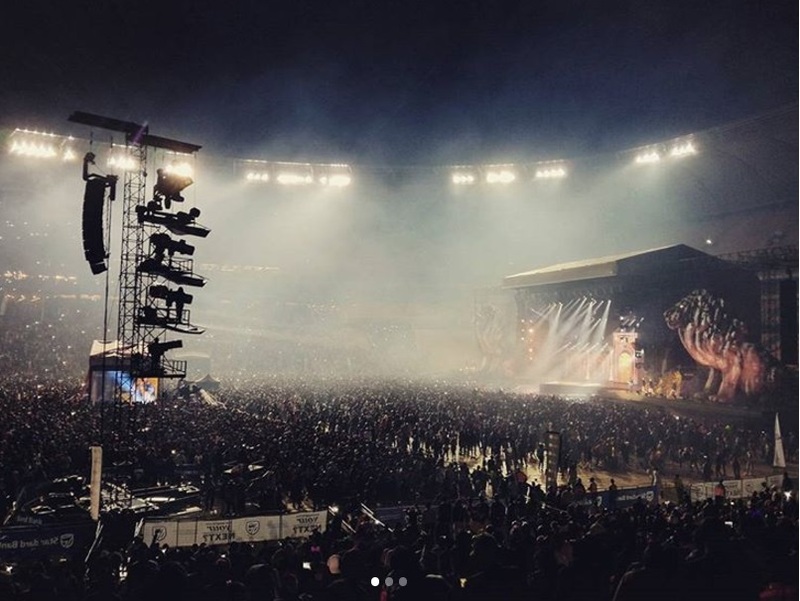 In 2016, Cassper’s dream again became a reality when he indeed filled the Orlando Stadium, however, unlike his first mega concert – the tickets were not sold out, although they did get pretty close. Now, almost three years later, The Tito Mboweni rapper achieved his dream last night and made South African history while he was at it. Legendary house DJ, DJ Sbu, told DRUM that he feels he is beyond just proud of Caspper. “I’m not even proud of Cassper,” said the DJ. “I’m proud of his mom, his dad, his family, HHP, I’m proud of Mafikeng and all who contributed to his success. “Refiloe Cassper has been an amazing tool that has made this generation believe that they can,” he said.